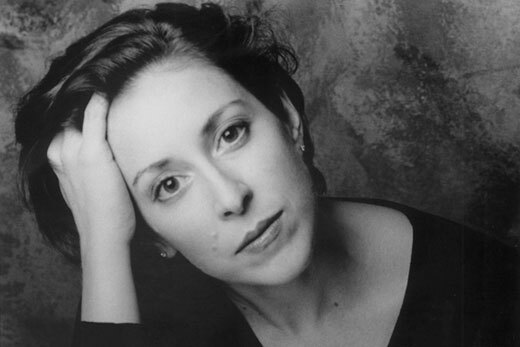 Composer and singer Susan Botti performs a free concert of her original chamber work "Gates of Silence" with Vanderbilt University's Blakemore Trio, Friday, March 23 at 7 p.m. in the Dance Studio of the Schwartz Center for Performing Arts. For details, visit arts.emory.edu or call the Emory Arts box office at 404-727-5050. Composer and singer Susan Botti's eclectic artistic background shines through in live performance. Onstage her works transform from purely musical creations into theatrical events; weaving together composition with design and spoken word to create a tapestry of genre-bending artistic expression. An Emory Coca-Cola Artist in Residence, she performs her original chamber work "Gates of Silence" with Vanderbilt University's Blakemore Trio in a free concert on Friday, March 23. This work connects three independent passages inspired by Virgil's "Aeneid," incorporating poetry by National Book Award finalist Linda Gregerson. "Gates of Silence" contains three independent pieces inspired by Virgil's "Aeneid." What about this age-old story resonated with you as an artist living today? The story has many aspects that resonate with me. First, the emotional turmoil of loss and disaster relative to a city, to home and loved ones is found in the "Fall of Troy." I was reading it as Katrina was devastating New Orleans and the news was full of horrors from Iraq; this inspired the "Lament: The Fallen City." Aeneas and a group of people escape as refugees and maintain hope, something we see today as well. They wander at sea, dangerously risking their lives for a new life (our borders)—fueled by hope and love of family—this inspired the second piece, "The Journey without Her." Finally, "Dido Refuses to Speak," the third work, sets poetry by a contemporary voice reflecting on the inner life of this ancient woman, melding the human experience in timeless expressions of love, rage, imperialism, seduction, loss and memory. Poet Linda Gregerson was awarded the Pushcart Prize for "Dido Refuses to Speak," poems commissioned from her for "Gates of Silence." How did she become involved with the project? I had previously set some of her poetry in songs and chamber settings and we became friends as a result. I have Linda to thank for the idea of the "Aeneid." She had been fascinated by Dido and her relevance to today and shared this with me when I was pondering different ideas for the commission. After I knew that I wanted the piece to be from that source, I asked her to create the poetry—windows into Dido's inner world. Theatrical influences play a large role in your musical expression. From where does this connection with theatricality stem and how does it enhance your work? and new music by other composers. My first love is the theater, and before I studied composition, I studied theater and art, which is fundamental to how I create works. I think theater enhances my music by providing me with different approaches to form and structure—it is infused in my creative process. I am always conscious of the eventual performance of my music in a space. Leslie Taylor, director of the Center for Creativity & Arts and chair of Theater Studies at Emory, served as designer and staging consultant for "Gates of Silence" and has collaborated with you in the past. What is your connection? It's a rare gift to have a deep creative connection with someone and have that develop over time. I met Leslie when I was a college student and she was a recent graduate designing the show I was acting in. She connected me to my first professional acting job. She designed my operatic soliloquy, "Telaio: Desdemona," but that's an understatement. Leslie is very in tune with my work and she does so much more than just come up with a design. She allows the visual aspect of the piece to develop as I'm developing it and both continue to evolve when putting the piece on its feet. It's always a collaboration, but in a subtle way—an evolution. Small ideas will transform—something that is a vital detail (like Othello's handkerchief) takes on a larger visual life and becomes integral to the music and to my performance. She is an amazing listener. Our work together is very process-oriented. She also designed a gorgeous gown for me when I premiered my piece with the New York Philharmonic. Anything in particular about your time at Emory that you are especially looking forward to? I'm happy that I'll have interaction with the students while I'm here. I am presenting and discussing my music in a few different classes and it will be very interesting to do the Creativity Conversation with Robert Spano and Linda. I'm also looking forward to seeing my acting mentor, Tim McDonough (associate professor of Theater Studies), whose teaching was a foundation to all of my creative work.